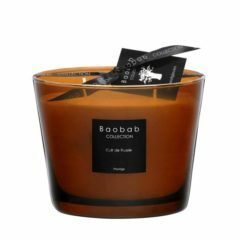 View cart “Baobab Max 24 Black Pearl Candle” has been added to your cart. The Masaai Spirit Max 10 is a 500 g. hand poured, scented candle of the highest quality with an average burning time of 60 hours. 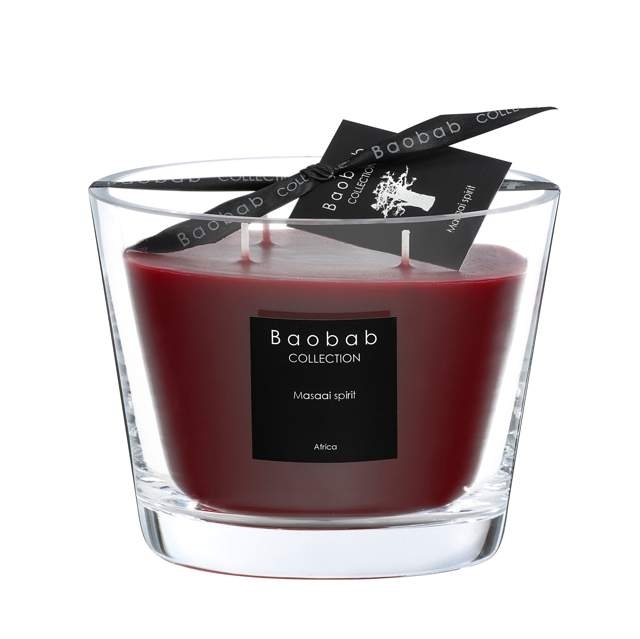 This Baobab Masaai Spirit scented candle is presented in a 10cm high glass vase. This fragrance has been inspired by the Masaai rich culture, their red tribal dress is as distinctive and sacred as this warm intense candle.The base note of Sandalwood is fused with the refined fragrance Amergris which is rare and exclusive. As the Masaai are warm and welcoming, so is this beautiful candle ideal for any living space or hallway. 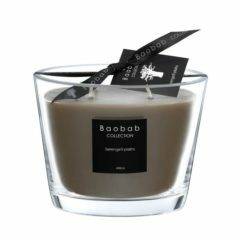 The Baobab scented candle collection is inspirational, it is refined after immense research, with only the use of the highest quality ingredients. Baobab have created a strong and energetic range of scented candles, and along with creating dramatic fragrances for the room they have created an elegant and sophisticated home accessory. 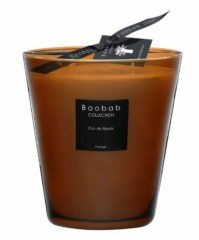 Baobab Collection is one of the world’s most elegant and exclusive collection of candles, home fragrances and accessories.